When most of us start embracing a gluten free lifestyle, especially when it is due to health reasons, someone along the way introduces us to rice cakes because it is considered to be a safe substitution for regular bread. This person is generally well-meaning but the expression in their eyes belies their actions – they are really thinking “You poor thing – that is all you are going to eat from now on. Sure glad it isn’t me?! ?” Most of us have experienced this scenario at one point or another. I think most of us have mixed feelings about rice cakes. It is definitely a safe option, but perhaps not the most enticing when it comes to flavor. This post is not intended to unfairly criticize rice cakes – far from it. We always have some on hand, just in case. Our favorite brand, hands down, is Lundberg, which offers organic brown rice cakes, which are also non-GMO. Lundberg, actually offers quite a few varieties to choose from – anything from white, brown and wild rice , and with or without salt. Some people, especially those with celiac disease, initially have such damaged digestive tracts, that their food choices may appear very limited. Rice cakes are usually a helpful substitution, especially in the beginning stages of healing from celiac disease. 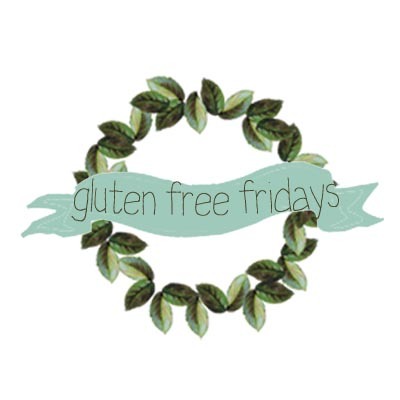 But once gluten, in all of its forms, has been strictly eliminated for some time, and the diet has been enriched by consuming primarily whole foods, ideally from organic and non-GMO sources, one feels better and wants to venture out into the greater world of gluten free options. That can be a shock in and by itself. Thankfully, today there are many more options available, but not all are necessarily healthy for you. It seems that every couple of months, there are new offerings in prepared gluten free baked goods. We quite applaud the larger availability of gluten free options, but one still needs to be discerning when it comes to the ingredients that are being used. If you are faced with a choice between an overly refined, starch laden gluten free bread and a whole grain brown rice cake, I would choose the rice cake every time from a nutritional standpoint. And since not everyone is inclined to bake their own bread, cookies or cakes – it is helpful to have some commercial choices to choose from. Rice cakes due to their neutral flavor, lend themselves to the creation of an easy to make dessert as well. It doesn’t involve any lengthy preparations, or baking, just a short time for preparing and melting the chocolate and a few more minutes of waiting time to let the chocolate set in the freezer, or conversely one hour in the refrigerator. It is loved by everyone in our home and very easy to make. You just need a packet of rice cakes and few extra ingredients for toppings. In a double-boiler, melt the chocolate chips with the coconut oil, stirring constantly, over low heat. Add the camu camu, or Vitamin C powder, and maca (optional). Let cool a little bit and then add the peppermint oil, blending everything well. Set aside. On a tray, lay out the number of rice cakes you wish to use and spread one tablespoon of nut butter on each one. Make sure that the nut butter is at room temperature, because it makes it that much easier to spread on the more delicate rice cakes. Unfortunately, rice cakes tend to break easily. I am sure you have your own stories to tell 😉 Top each one with a few raisins and then spread the prepared chocolate sauce evenly on the rice cakes, covering the nut butter spread completely. Sprinkle some shredded coconut over the chocolate and place the finished rice cakes in the freezer for a few minutes to let the chocolate set. If you have more time on your hands, you can also refrigerate them for an hour. this is such a wonderful idea of snack than just eating a plain rice cake. It is simple and easy and one of our favorites. That’s a great way to get motivated about eating rice cakes! It just proves once again that rice cakes are not what everybody thinks. They can be quite tasty. Those look tasty! I’ve never minded rice cakes myself, even though they’re so universally reviled as a sad, tasteless, “diet” food. They’re just puffed rice stuck together—what’s not to like? Especially with nice toppings. It seems to be everyone’s first go to gf bread substitute. We wouldn’t want to eat them every day, but they are certainly versatile. We love these particular toppings. I love rice cakes! Now loving rice cakes and adding in this is really good! THANK you so very much. Different toppings…so simple and so yummy! Who can resist a little chocolate and peanut butter, it makes even those who dislike rice cakes love them again.